Career Highlight(s): First time representing Singapore after 5 years. Highlight 5 years ago when I’m still running would be SEA Junior at Ho Chi Minh City, 3rd in 4 x 400M relay. Competing on home soil is a dream come true for me and I hope every athlete can excel in their events. For myself, my target in this SEA Games is to give my all and do my coach proud. Everything is good and I should be able to reach my peak during SEA Games. The biggest challenge would be making sacrifices and be committed during the journey to prepare myself for SEA Games. I started out in 100M and 200M event but my coach decided to change my specialisation event to 400M because of my built. 400M is a very interesting race because a race plan will play a big role in the timing an athlete will do. For the relay, it is every sprinter’s dream to be in the relay team as this event shows not just how fast each individual can run but the bonds they have with one another in the team. I have been training under my current coach, Muthukumaran for 2 years. He was a former 400M sprinter and he coaches me based on his training and competition experience. My previous coach, Tham Kin Loong is the root of my running career. He is a former 400M Hurdler and has also represented Singapore in his hey-days. My passion for running started off with him and he always inspired me to become a successful athlete. I will try to stick into a healthy diet, fulfilling at least 3 meals a day with a well proportion of CARBS, proteins, fats and iron. I will spend my Tuesday and Thursday with my family, having a simple dinner together when I’ve ended my school and gym training. I will also squeeze in time to complete my assignment after school while waiting for training to start at 6pm. On my weekends, I will spend my time with my loved one. I train 3 times a week on the track. As a 400M runner, I focus a lot on speed training because I react better with it. I will also have 2 gym sessions every week. Intensity depends on my season. There isn’t any long term athletics goals for me. I will continue running and competing so long as I can do it, I will. Character get one out of bed to start running with heart, commitments allow one to keep striving even if it requires one to make sacrifices and discipline keep one going despite facing hurdles. So, to all young aspiring athletes, dream without work results to nightmare. And, having a good character, being committed and disciplined is very important. My target for SEA Games this year will be for the 4 x 100m event to break the National Record and it will be a bonus if we get a medal. For the Long Jump, I will like to aim to break the National Record (5.86m) or be the first female athlete to do a 6 metres jump. Doing a lot of technical work to improve our relay passes and to improve my jumps. And a lot of Strength and Conditioning work to make sure that the muscles are strong and powerful for SEA Games. It is to have a balance for everything. As I’m in my last year of Polytechnic, there are projects that needs to be done. Having training sessions and classes all in a day is very tiring physically and mentally. And to spend enough time with my family and friends with the packed schedules that I have. I started this event because few years back I went over to Germany for a training camp, the coach there say I’ve potential of becoming a jumper and at that time, I felt that I need a change from sprint that I have been doing for years. The attraction about this event is not about how fast you run but how long you can “hang” in the air for that is what makes the differences in the distances. My current coach is Coach Katrina Hall; she is a coach from the US. She is a very technical coach; she likes to get the basics right before moving on to something harder. And before Coach Katrina, I was under Coach Margaret for Sprints. Coach Margaret is all about the speed and how she can use technologies to help us improve on our speed. To be honest, I don’t really have a controlled diet. Mainly because my meals are served in Singapore Sports School so I just have to eat what is served. But I do cut down on junk foods as the competition period approaches. Other than that, I don’t really take care of my diet. And I believe that supplements are not necessary for us as if we eat right, all the nutrition will come from the food we consume. Good music interests me because when I listen to it, it will be able to either help me relax and clear my mind or it can pump me up for competition or training. I think time management and planning plays a very big part in this. In order to have time for everything, you will need to plan how you want to spend your time at every aspect. For the weekdays, i just have to follow a timetable my school has planned out for me. As for the weekends, that’s when you need to know what your priority and how you plan everything so that everyone is satisfied. I train at least 8 times a week. For Mondays, Wednesdays and Fridays, i will do speed training. For Tuesdays and Thursdays, i will do technical training in the morning and Strength and Conditioning in the afternoon. 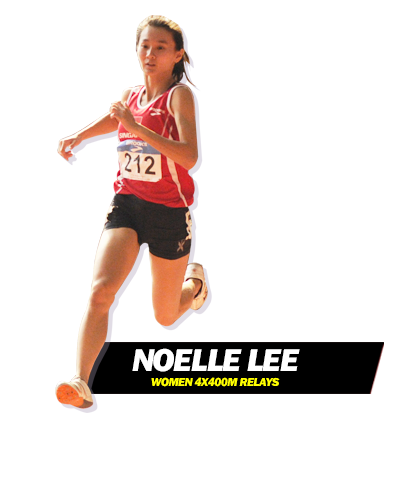 For Saturdays, I will head over to Kallang Practice Track for relay training. My goal is to be able to qualify into major games like Olympics to represent Singapore and not through wild card. If you choose to take this path of life, you need to know that it is not an easy route but as long as you are determined and always hungry to achieve more, you will get there one day. 7 Jun – Results posted. 27 Apr – Event page created. 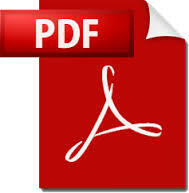 Download the table in PDF. Any enquiries please contact at SAA. b. If only 2 Athletes per country are allowed per event and more than 2 Athletes meet the qualifying mark, a final run/jump/throw-off trial will be held before the EBN date. i. The trial date will be announced once SA receives the EBN. ii. 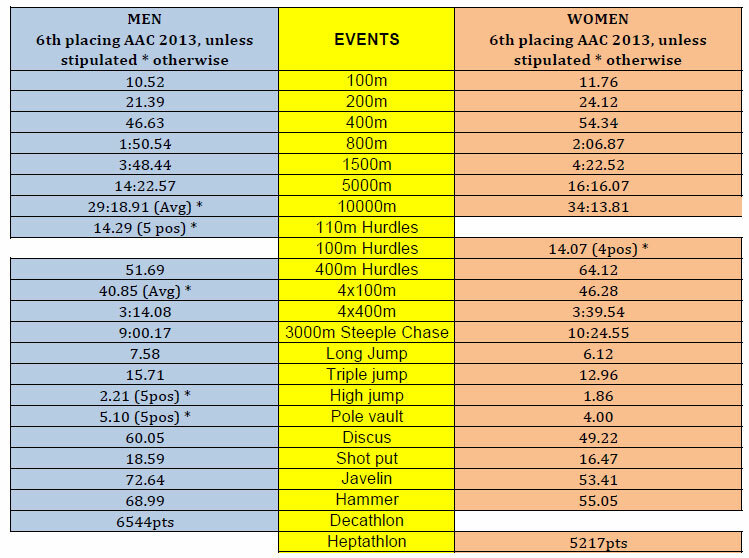 For the relays the best 8 on-form Athletes will be nominated. A final run-off will be conducted before the EBN date to select the final 5/6 relay runners. c.	Only events run with legal wind speed will be used for nomination. An exception will be made if the qualifying mark was set under illegal wind speed. Performances under similar wind speed will be accepted for nomination and final selection. d.	SA reserves the right to drop any Athlete who has qualified if he/she is deemed unfit to perform at a competitive level at the Championships. 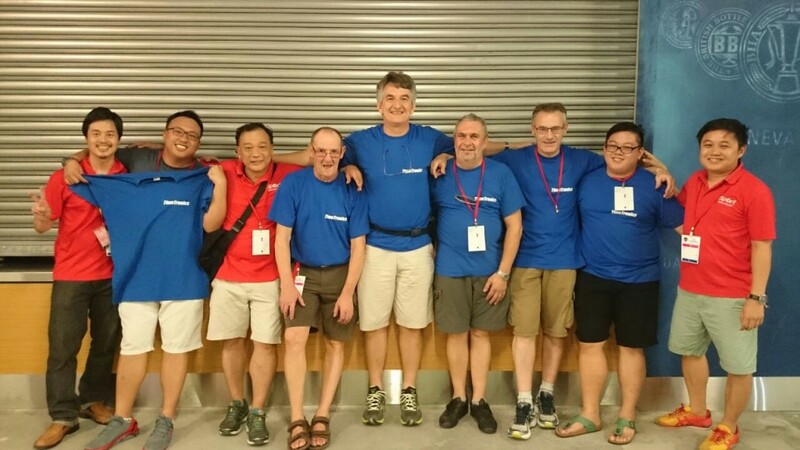 Some photos post Singapore Open, with full-time staff and volunteers making the event a success. Onwards to a successful SEA Games after the test event. Due to the inclement weather, the remaining 6 events of the 4x400m was postponed and re-schedule on 24th April at Singapore Sports School. Another record that fell on the second final day of the National Inter-School was the girls’ 2000 metres steeplechase event. Victoria Junior College’s Vanessa Lee Ying Zhuang crossed the finish line in 8:00.94 minutes. Not only the 17-year-old erased the competition Championship record of 8:06.58 minutes by Wan Zahrah but also the women National Junior and Youth Best Performance record. The previous mark for the National Junior was 8:05.25 minutes held by Lin Cui Wen Yvonne established in 2010 at the 3rd All-Comers. 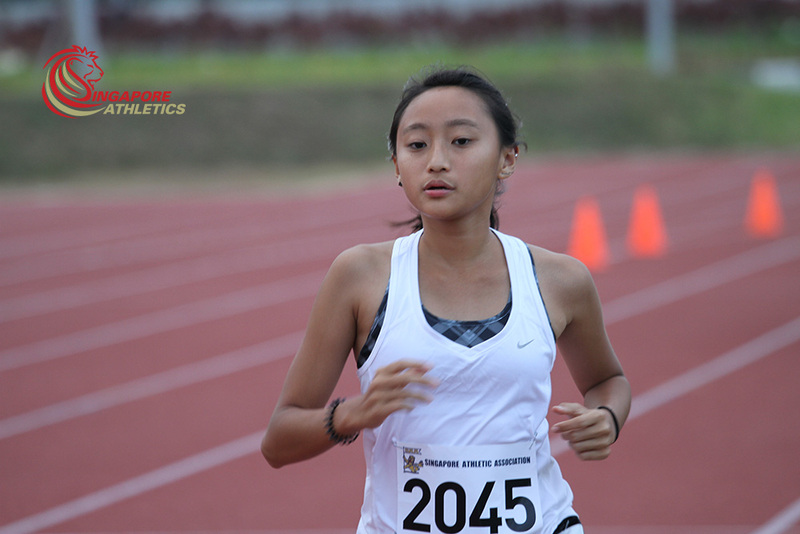 While the previous Youth Best Performance record was 8:19.25 minutes by Seow Yun Yun established in 2011 at the National Inter-School. 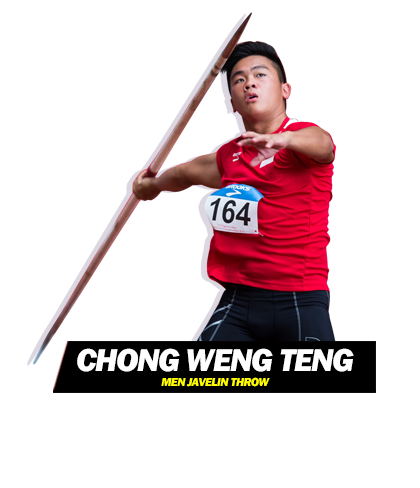 The VJC student athlete is currently coached by Tan Yew Hwee. Vanessa’s record is pending ratification by SA. 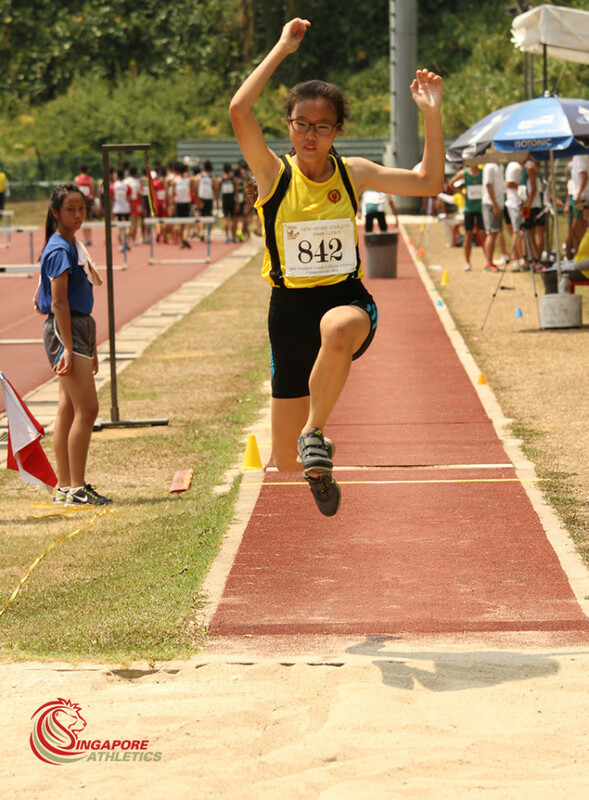 Victoria Junior College’s Lim, Enxuan Lynette once again jumped into the Singapore records history book yesterday at the A division girls’ triple jump event at the National Inter-Schools competition. The 18-year-old hop, step and jumped 11.94 metres with a legal wind-aided windspeed of 1.4m/s. She erased her own women National record in the event which previously stood at 11.89 metres established at last edition of National Inter-Schools in 2014. Lynette’s 11.94 metres effort apart from the National record, it is also a National Junior, Under-23 and Under-19 records. 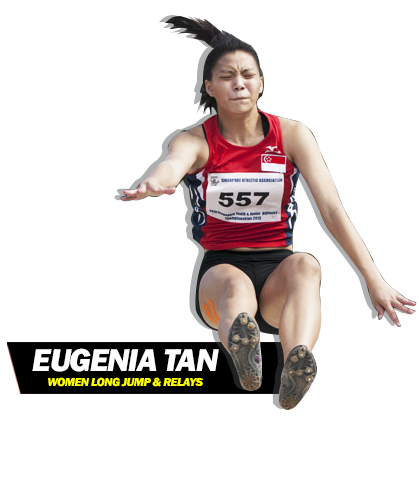 Included in the upcoming Team Singapore athletics squad for the SEA Games, Lynette has the potential to become the first Singapore women athlete jump beyond 12 metres in the triple jump event. She is currently coached by Mr. John Seem. Record is pending ratification by SA.